I reached back home today! 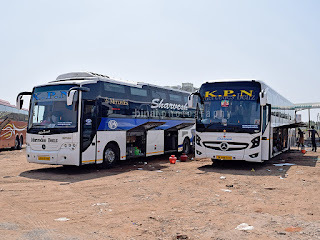 I came back on a Karnataka State Road Transport Corporation Volvo bus. 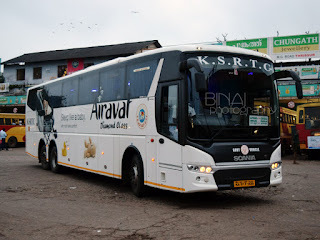 The service is named "Airavat". The bus that did the honors was KA 01-F-8461. The occupancy was about 55~60%. The bus was pretty new and had new LCD info panels for the driver to inform him of any malfunctions in the engine! The run was silk smooth! The bus left Thrissur at 2125 (Scheduled time 2030!). We stopped at Pattikad for dinner, and in the process overtook a TVM-BGLR KSRTC (Kerala) AC bus. 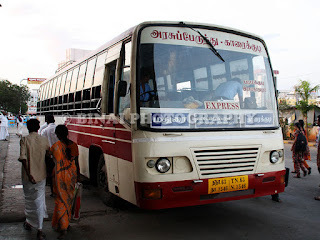 We overtook the TSR-BGLR AC bus after Coimbatore, and another unknown AC Airbus of KSRTC somewhere near Hosur. We reached Bommanahalli at 0650 (Bommanahalli is about 15 kms from Majestic).